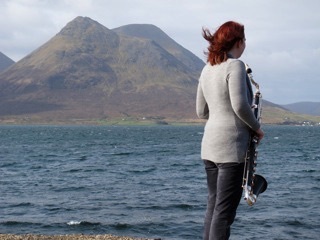 Sarah hosts annual clarinet & bass clarinet courses on the Isle of Raasay, Scotland. 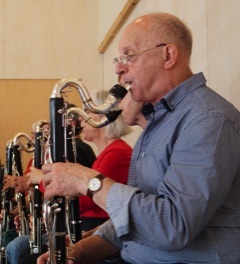 The Bass Clarinet Course has been running since 2009 and attracts participants from all over the globe. 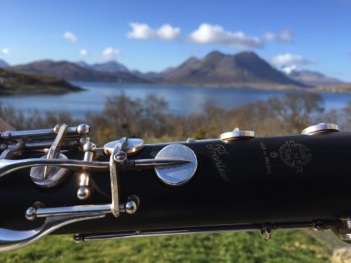 The newer Autumn Clarinet Course followed in 2015. With an empahsis on improving all aspects of playing in a relaxed and unique environment, the courses are also designed to include large amounts of ensemble playing. 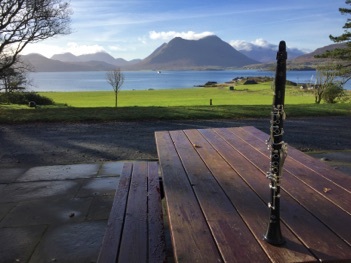 The bass clarinet course is aimed at all standards and also runs alongside the Isle of Raasay Bassoon Course. SCAW pianist Antony Clare joins both these two courses as resident accompanist and at times conductor too! The clarinet course is aimed at intermediate to advanced levels of playing. The courses also make time to explore this beautiful Hebridean Island - a perfect combination of hard work and relaxation time. 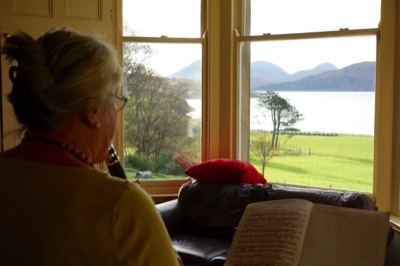 Both courses have a nice social aspect, tutors concerts, participants concerts and a chance to develop a taste the new Island whisky from the first 'legal' distillary on Raasay. Accommodation is booked separately from a range of options on the Island. Sarah will help you with advice on travel, accommodation, Raasay and course content.